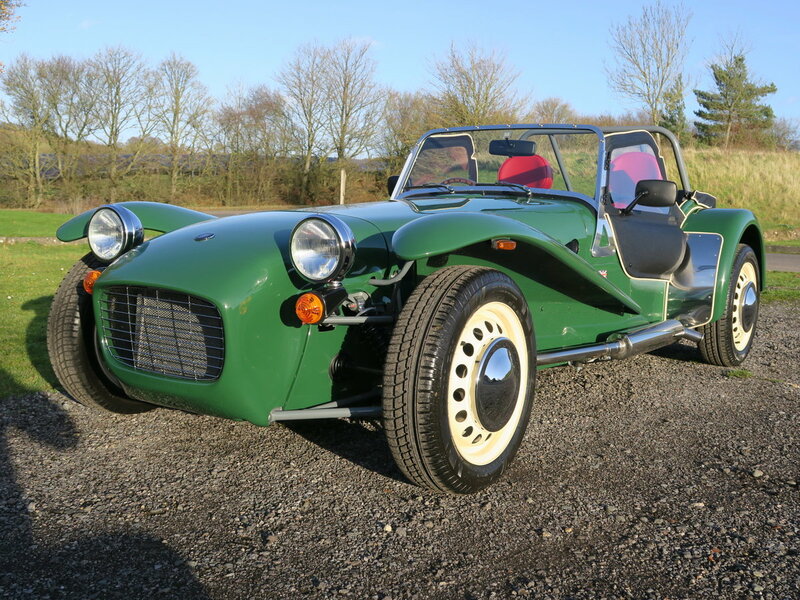 It is with great pleasure that we can offer to the market this charming, limited edition, Caterham 7 Sprint. 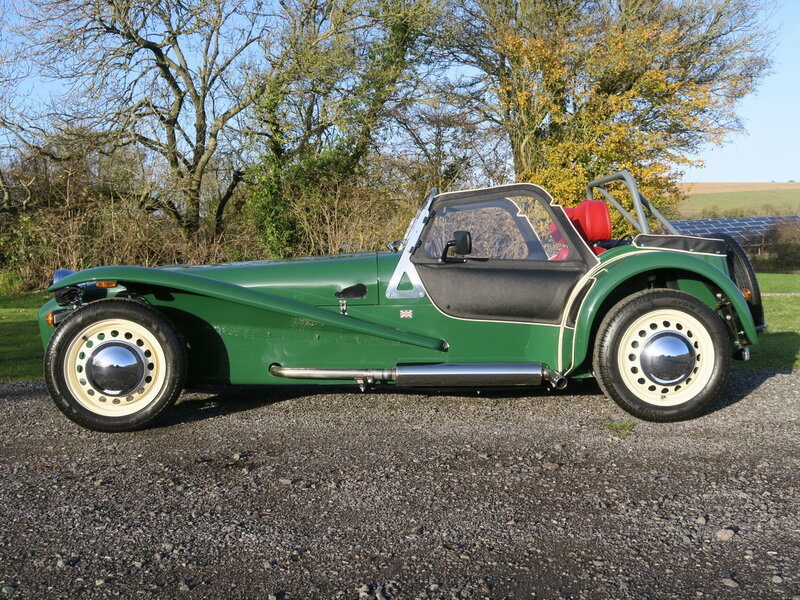 This “Sprint” model was first announced to the market in 2016 at the suitably retro setting of the Goodwood Revival Meeting. 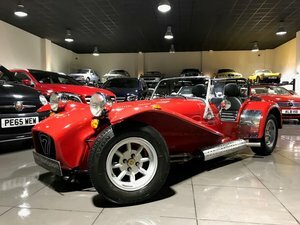 It met with a very enthusiastic response as the limited run of 60 models, built to celebrate “60 years of the Seven”, sold out in just one week! 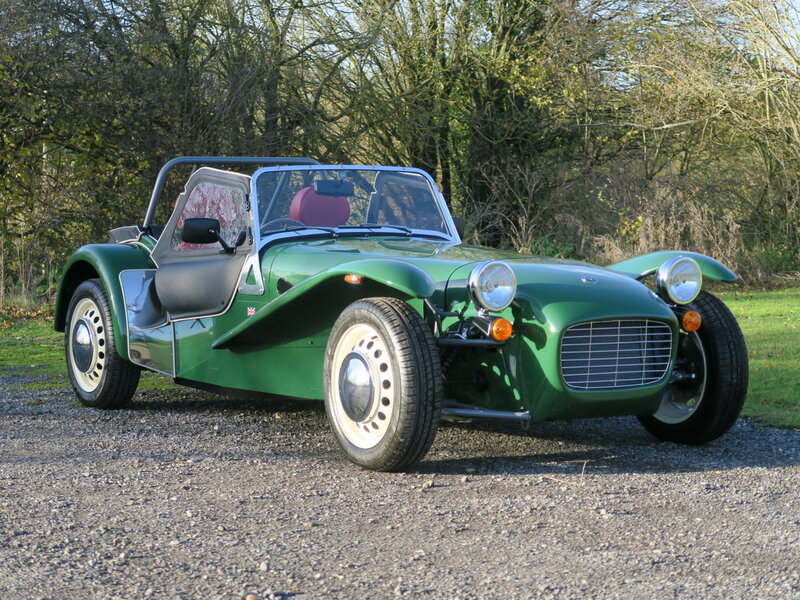 The quote from Caterham on launch summed this model up perfectly, “It’s a car that has been built today, with all the benefits that modern engineering brings with it, but the essence of the swinging ‘60s”. 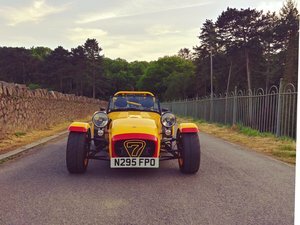 The modern drive starts with the three cylinder Suzuki engine and extends to the running gear of Caterham’s “Seven 160” models. But it’s really the host of nostalgic features that make this car feel so very special! All of the cars were finished in a retro inspired exterior colour, ours is in “British Racing Green”. 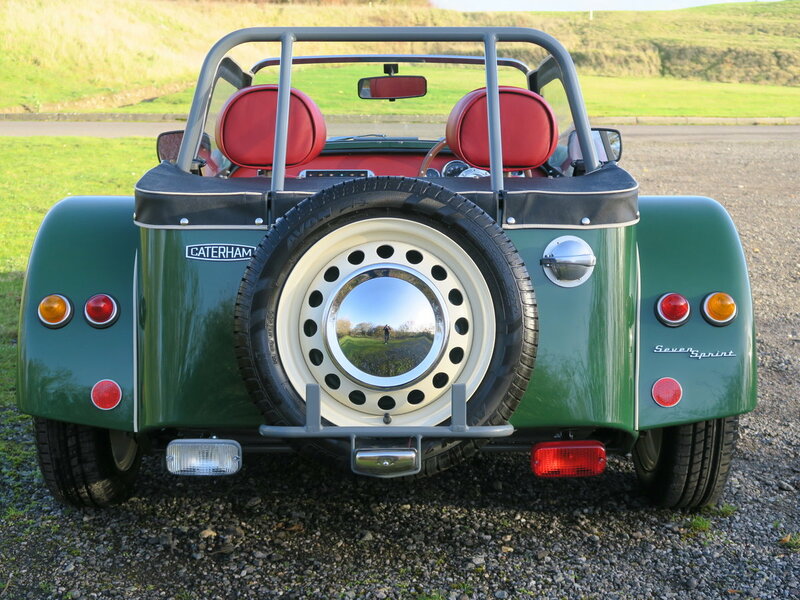 This is complemented beautifully by the cream wheels with polished hubcaps, flared front wheel arches, polished exhaust silencer, unique retro styled rear lights and retro styled badging. 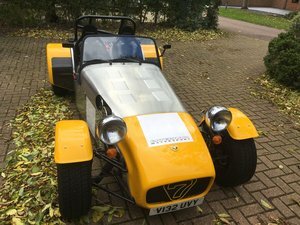 Caterham have even gone to the extent of powder coating the entire chassis grey, period accurate to the “Series 2 Lotus 7”. 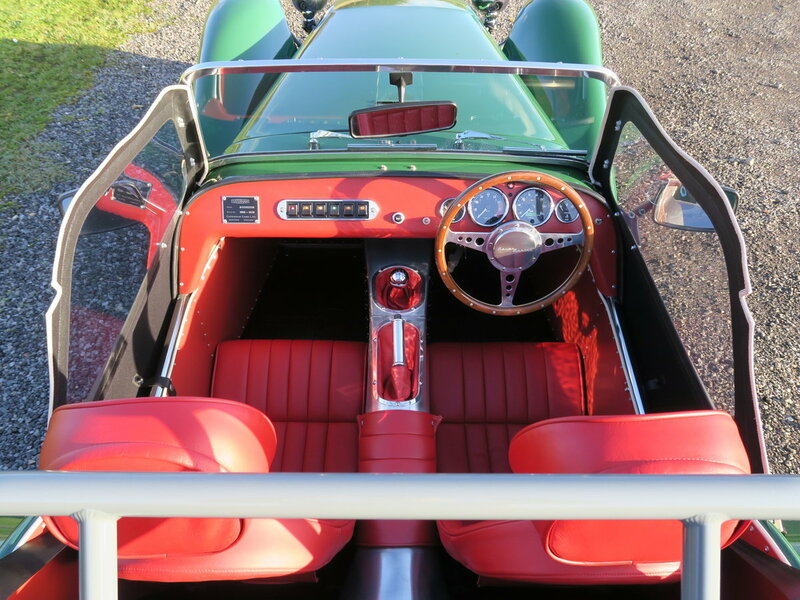 Inside the retro theme continues with Scottish Muirhead hand stitched leather upholstery in Scarlet, a classic dashboard layout for the modern Smith’s dials and a wonderfully tactile Moto-Lita wood rimmed steering wheel bearing the model designation. 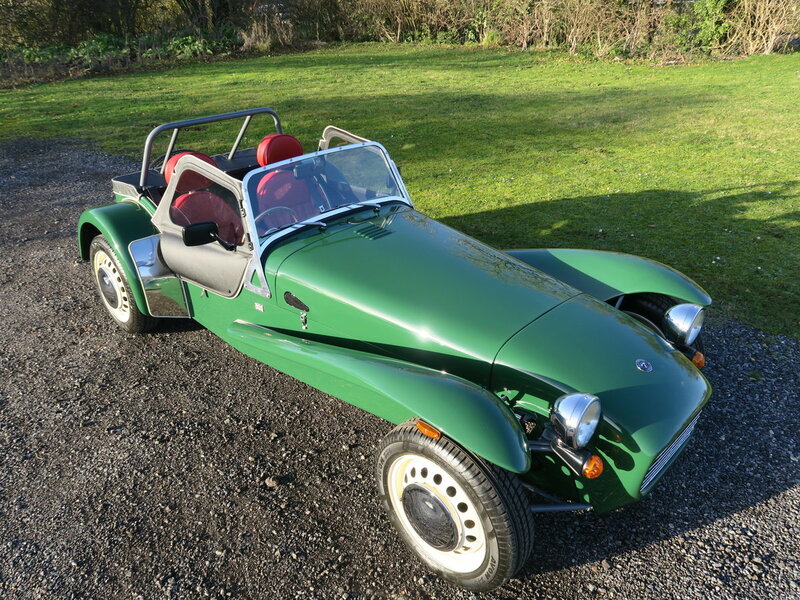 There are so many highlights to this car, so many lovely details and such a wonderful build quality – it’s no wonder Caterham only offered this very limited numbers model for factory build. 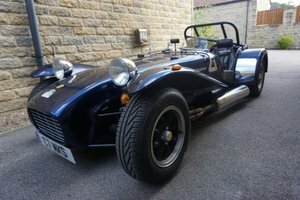 Our car has covered just 700 miles from new, it is complete with full weather equipment and is immaculate inside and out. 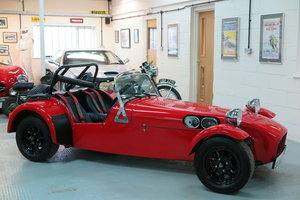 A car that deserves a new owner that will cherish it either to drive or as the collector’s item it certainly is.